Interested in learning to paint watercolors in a unique, textural manner, using gesso and collage on a hard surface? 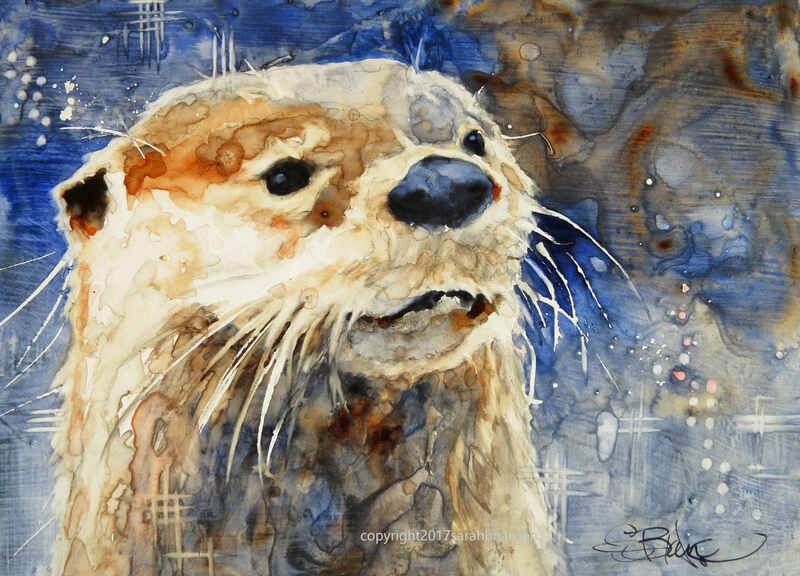 In this 2-day workshop, you will create your own textured surface, learn to paint eyes, noses, and fur while you paint an up-close facial portrait of a critter on your textured surface. Beginner through intermediate, 8 minimum, 15 maximum. 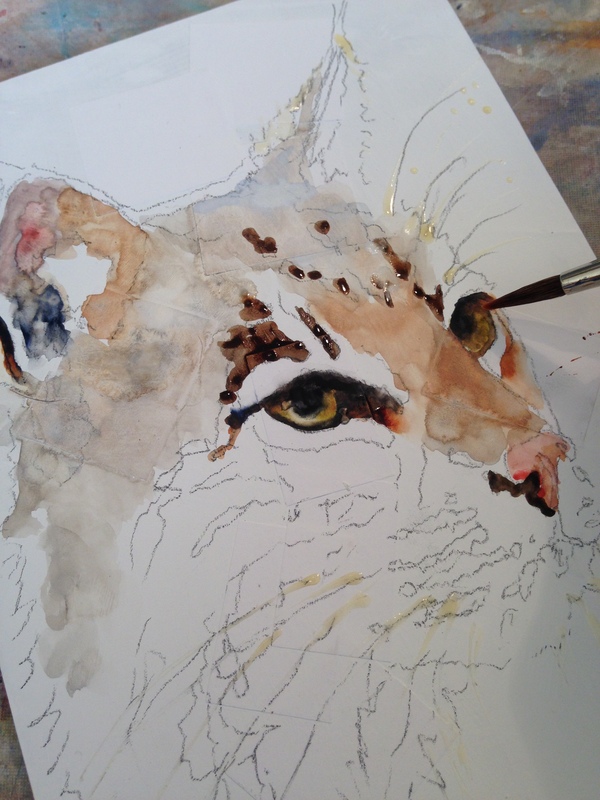 Learn to paint an animal portrait with watercolors in a unique, textural manner, using gesso and collage on a hard surface. In this 2-day workshop, you will create your own textured surface, use the basics of composition and color theory, and paint an animal of your choice on your textured surface. You will learn how to convey fur and blend colors to create convincing eyes, noses, ears, etc. Beginner through intermediate. 8 minimum, 15 maximum. Items to collage: Paper, tissue, etc. At least 2 days before class, coat your hard board with 2 coats of gesso. This allows the gesso time to dry completely and won’t take up precious class time. Any type of hard surface will work to paint on, even Masonite from the hardware store, as long as it is relatively smooth. Artist’s Aquaboard or Clayboard is a great option and available at Hobby Lobby or Michaels (or Amazon, etc.). Please coat it before class as mentioned above. As far as texturing tools, bring items in which to scrape into the wet gesso. For instance, plaster tools, scraping tools, or anything that might create a depth of pattern. For the photo reference, bring a photocopy of your chosen animal (dog, cat, or any other animal), preferably with a zoom in to the animal’s face. Print the photocopy so that the printed image matches the size you want the animal to be on your painting. In other words, if you are bringing in an 8×10 board, print your animal out so that its face will fill most of the 8×10 area. You will be transferring the image directly onto your paintable surface. Email me or call if you have questions on the size. To join, please print out the attached invoice and send with a check for $90 to my address on the top of this letter. Make the check payable to Sarah Hansen. Contact me to join and let me know if I can answer any questions. Can’t wait for the class to begin! P.S. Please let me know if you have questions about the supplies or possible substitutions. Don’t break the bank! My motto: Use what you have if you can.